So that we can provide you with the most efficient and enhanced service, we request information about you. We collect personally identifiable information such as names, email addresses and demographic information such as age, gender and zip code. We also may collect your IP address, browser type, domain name, access times and referring Web site address. This information is collected both during registration on a site or in response to specific requests, for example when signing up for a newsletter, entering a sweepstakes or contest or answering a survey. Information collected at one Legacy Cremation Services.com Web site will be available within the Legacy Cremation Services.com family of Web sites. We use personal information so that we may display custom, personalized content to our visitors and send newsletters, emails, features, promotional material, surveys and other updates to our users. A user may, at any time, opt out of receiving such information. We also use collected information to evaluate and administer our service, respond to any problems that may arise and to gauge user trends to determine what part of our services are most popular with users. We may extend offers to users on behalf of our partners about a particular product or service that may be of interest to you, but we will never give out your name or personal information at any time without your permission. As result, although Legacy Cremation Services.com may receive a fee from our partners for this service, Legacy Cremation Services.com sends all the offers so that your personal information is never shared with any outside third party. We may, at times, produce reports for advertisers containing aggregate information about our users such as demographic, age and online usage information. This allows us to work more closely with advertisers to provide content and offers that are most relevant to our users. We will never include any personal information of our users in these reports. We allow users of our Web site to send articles or links by email to other parties who may be interested in them. We do not retain any email addresses (unless you are a member who already has voluntarily provided your email address) of either the sender or recipient of such articles or links after they are sent. We reserve the right to use or disclose any information without notice or consent as needed to satisfy any law, regulation or legal request; to conduct investigations of consumer complaints or possible breaches of law; to protect the integrity of our site and our property; to protect the safety of our visitors or others; to fulfill your requests; or to cooperate in any legal investigation. You should be aware that if you voluntarily disclose information online (whether through Legacy Cremation Services.com’s services or any other service available online), personal or otherwise, that information can be collected and used by others. For example, if you use chat, forums, bulletin boards, your e-mail or if you post personal information online, you may receive unsolicited messages from others. Legacy Cremation Services.com has no control over this use of your personal information. Your browser offers so-called “cookies” which, if you allow their use, store small amounts of data on your computer when you visit a Web site. Cookies do not contain any personally identifiable information about you and therefore cannot be used to identify you personally. Cookies simply assist us in tracking which of our features you like best. Cookies also enable us to customize our content according to your preferences. You have the ability to accept or decline cookies by modifying your browser and our Web sites are viewable even if you disable the cookie function on your browser. However, if you disable cookies, some advanced and customized features of our site, as well as other Web sites, will not be available to you. We may also place a cookie on your browser so that this and other Web Sites owned by The New York Times Company will recognize you as a unique, anonymous user. This will enable us to make sure that you do not see the same ad over and over, to sequence ads in a series, and to measure more accurately the number of unique visitors across the network of New York Times Company Web sites. Legacy Cremation Services.com participates in the Tacoda Audience Network. The network matches ads to visitors’ network browsing behavior; however, TACODA Audience Networks does not own or share any visitor data. Some of our Web pages may contain electronic images known as Web beacons, which are also called single-pixel gifs. These images allow us to count users who have visited those pages and to deliver co-branded services. We also may include Web beacons in promotional e-mail messages or newsletters in order to count how many messages have been opened and acted upon. Web beacons are not used to access your personally identifiable information but they are a technique we use to compile aggregated statistics about our Web site usage. Web beacons collect only a limited set of information including a cookie number, time and date of a page view, originating IP address, and a description of the page on which the Web beacon resides. Some of our Web pages may also contain Web beacons placed there by our advertising partners to help us determine the effectiveness of our advertising campaigns. Legacy Cremation Services.com employees are made aware of its privacy practices through periodic communications and training. We limit access to private and confidential data only to those employees with a specific need to retrieve this information and we store data on multiple service systems, in controlled, secure environments. To maintain our level of security, we conduct both internal reviews and external audits of our security measures and procedures on a regular basis. Some portions of the Legacy Cremation Services.com Web site may be used by children under the age of 13. Legacy Cremation Services.com is strongly committed to protecting the safety and privacy of children who visit our Web site. Our site and services may collect information about children under 13, including e-mail forum participation and chat rooms. Use of such activities requires initial registration by the participant. Children under 13 who wish to register are asked to have a parent or legal guardian do so for them. The parent must provide a credit card number for verification that he/she is an adult. Upon verification, the parent can choose in which activities he or she would like the child to participate. Parents can change the selected activities at any time. Only after verifying age in accordance with Federal standards, do we collect and maintain the name, date of birth and email address of children who register. With proper proof of identification (including name and credit card verification), parents can review their child’s personal information, ask to have it deleted and refuse to allow any further collection or use of their child’s information. 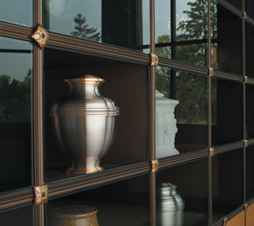 Legacy Cremation Services.com includes many topical areas that all users may access. When a parent provides verifiable consent to allow his or her child to use chat and forums and to receive newsletters or other materials where a child may provide personally identifiable information, the child will also have access to those relevant services throughout the Legacy Cremation Services.com site, including areas that may not be directed toward children. In particular, if you allow your child to participate in chat or forums, your child will have access to all chat and forum areas on Legacy Cremation Services.com. Many chat areas are not monitored and private chat is permitted. Chat areas may contain information or language unsuitable for young children and visitors of all ages may participate. If you authorize your child to participate in these features, we encourage you to monitor their use closely. We also allow guests to participate in chat and forum areas at About.com but use techniques to prevent unregistered children under 13 from participating in areas unsuitable for them. Parents can change these options at any time. collect online contact information from a user under 13 without prior verifiable parental consent, which includes an opportunity for the parent to prevent use of the information and participation in the activity. When we do not obtain prior verifiable parental consent, online contact information will be used only to directly respond to the child’s request and will not be used to contact the child for other purposes. collect personally identifiable offline contact information from users under 13 without prior verifiable parental consent. distribute to third parties any personally identifiable information collected from children known to be under 13.
give the ability to children to participate in forums or chat rooms without prior verifiable parental consent. entice a child under 13 by the prospect of a special game, prize or other activity, to divulge more information than is needed to participate in such activity. We will also place prominent notice wherever personally identifiable information is collected requesting the child to ask a parent for permission to proceed. In developing our business, we might sell certain assets or the company, or parts of it, may be sold, merged or otherwise transferred. In such transactions, user information, whether personally identifiable or otherwise, may be one of the transferred assets. Our Web site and the servers that make this site available worldwide are located in the United States. All matters relating to these sites are governed by the laws of the State of New York in the United States. Any information you provide will be transferred to the United States. By visiting our sites and submitting information, you authorize this transfer. Legacy Funeral Services license number (FH-706) has a national network of locally-licensed funeral and cremation providers for final funeral and cremation services, which includes hand selected independently owned and locally operated licensed funeral and crematory establishments.